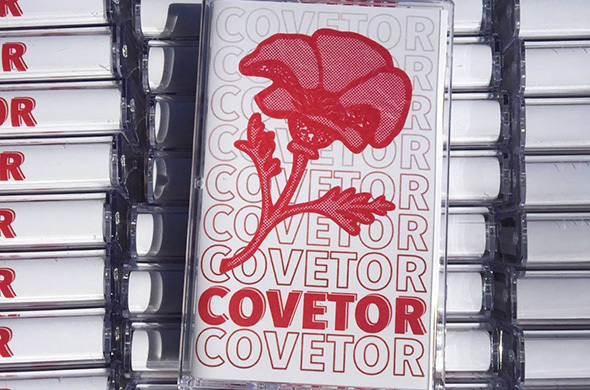 DAWGS, check out the new tape from COVETOR. These dudes play riff-heavy, psychedelic skate punk, somewhere between The Descendents and The Men. Featuring former members of French Exit and Ghost Limb, Thank You captures four friends making a lot of noise together out in a quiet corner of Joshua Tree. Stream the music below and MAILORDER HERE! 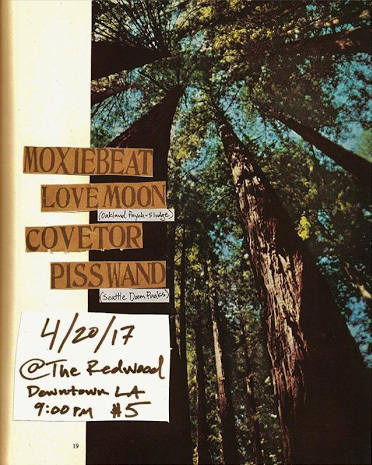 Check out the band’s record release show April 20th, 2017 at The Redwood in Downtown LA with Moxiebeat, Love Moon and Piss Wand. 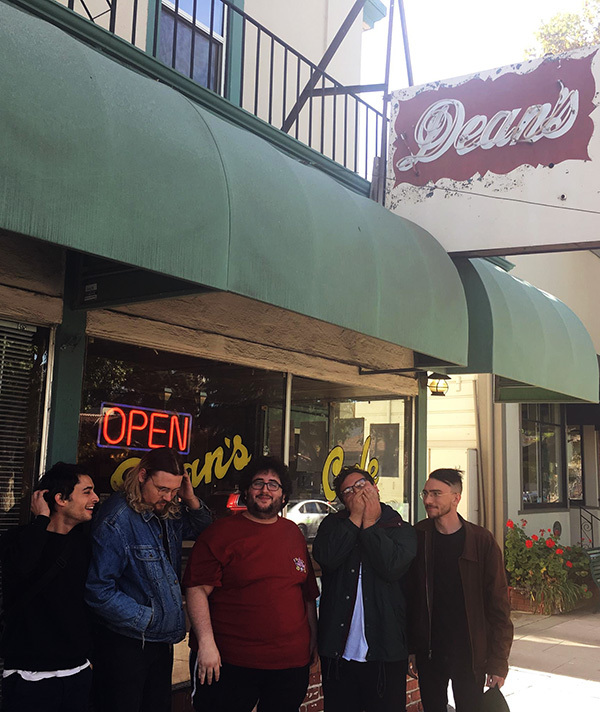 After hitting it off during a tour together last October, 100% and Joyce Manor decided to record a couple covers of The 6ths (Stephin Merritt’s side project/tribute band of sorts), throw the songs online, and maybe collect some donations for charity. I asked if they’d let me do a small run of 7″s and they said YES, so it’s with immense pleasure that I finally get to share these songs with you today. For the 7″s we did a short run of lathe-cut records with Precarian Cuts in Tucson, all hand-made in real-time using old school methods and machines. All proceeds from the 7″s and bandcamp sales will be donated to Planned Parenthood, so even if you don’t manage to snag one of the records I hope that you’ll still consider donating. In addition to donating, we’d also like to encourage you to take action in support of women’s rights, reproductive justice, and access to health care by visiting www.resistancemanual.org, a good resource for information on important issues and how to take positive action. There were only 50 copies of this 7″ made and they’re all SOLD OUT now. Thanks to everyone who purchased it. Hi friends! Here’s a surprise Shinobu live album for you. It was recorded 2 years ago at KFJC 89.7 on DJ Honey Bear’s show, and we thought you might like to hear it. The album is for sale for $5 on bandcamp and all proceeds from the record will be donated to the National Immigration Law Center. Enjoy! Hi friends! Check out the debut from TADAIMA, a 3-piece punk band with no bass guitar in the tradition of Track Star. 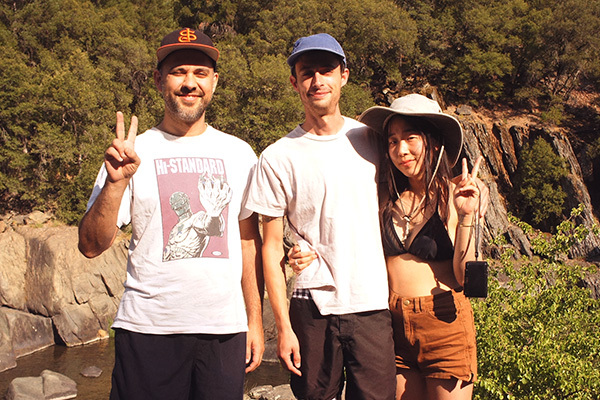 Five short, fast, bummed-out pop-punk songs from Bay Area native turned LA-resident Bob Vielma and LA-natives turned Bay Area residents Kurt Walcher and Yui Fukunaga. Stream the songs below and MAILORDER the tape here! Jason Thinh made a small but distinct mark on the Bay Area punk scene in the early 2000′s as the driving force behind the introspective yet vibrant pop-punk band Short Round, and as a member of the socially-conscious ska band The Chinkees. He relocated to Athens, GA searching for a new perspective on life and struggled with issues of identity and separation, losing the impulse for songwriting before eventually embracing it again as a mechanism to make sense of said issues. 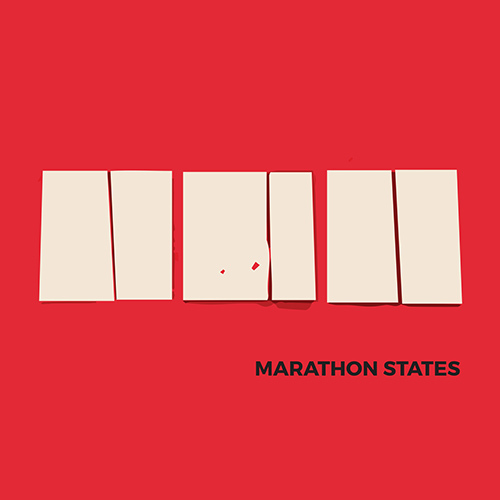 Written and recorded over a 4-year period from 2012-2016, Thinh’s first album under the MARATHON STATES moniker is a deeply personal affair, one that confronts questions of change and anxiety, but still occasionally references his favorite comics, television, and music. And while there may be some discrete lyrical shout-outs on I Want A Warning to Thinh’s favorite bands and records, the instrumentation not so discretely takes cues from the big, angular guitars of Sleater Kinney and Bangs, and the heart-on-sleeve desperation of Jawbreaker. 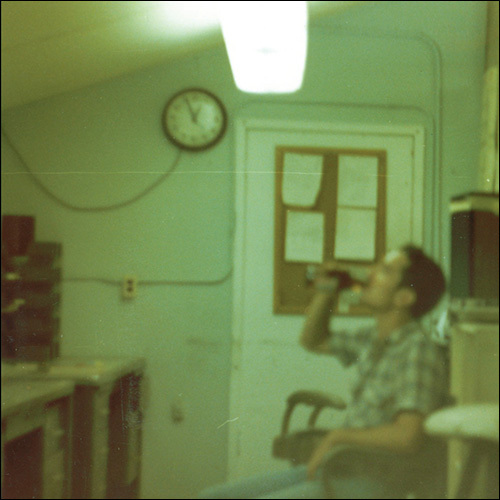 Old California friends Max Feshbach and Morgan Herrell (Hard Girls) provide the record’s dynamic rhythm section, with additional contributions from Georgia friends Sam Paulsen (Man or Astroman?, We Versus The Shark) and engineer Joel Hatstat (Bomb The Music Industry, Cinemechanica). 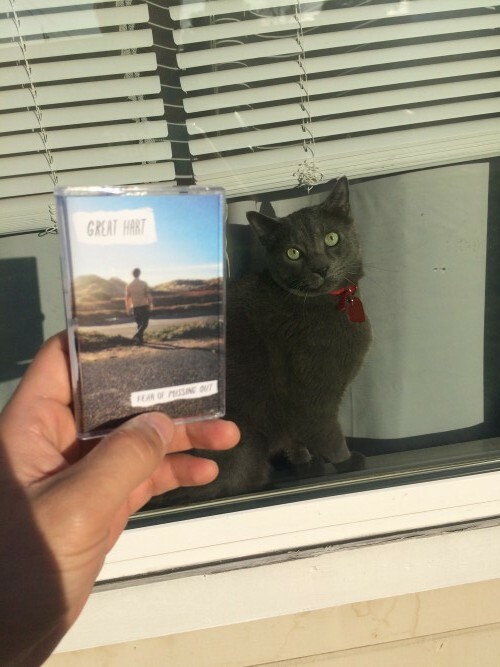 Pre-order a copy of the 8-song debut tape here if you’d like. We’ll ship them out in early September. 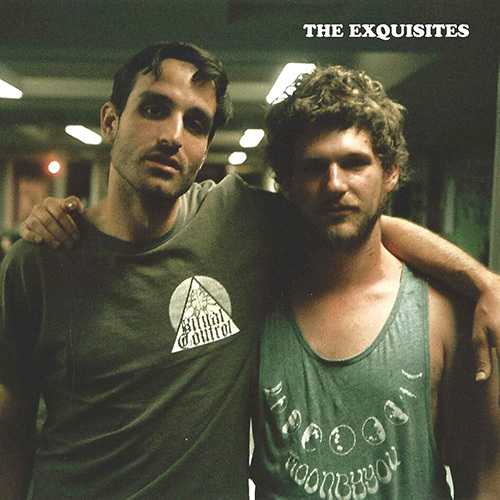 The Exquisites “Count On Me” 7″ available now! Check out a track from the new Exquisites 7″ below, and order yourself a copy over at the MAILORDER page. The band’s record release show is July 8 in Seattle at Hollow Earth, 2018 A E. Union St., with amigos Dogbreth, Get Married, and Churn! Check out the event details on facebook here. I received a call on November 8, 2005 (a day which I remember because I was pulling up to my polling place to vote as the call came in) from Mike Park, asking if Shinobu would be interested in releasing a 7″ on Asian Man as part of a 7″ record club. I was very excited and honored, to say the least, at the prospect of having a record out on my favorite label. Long story short, the 7″ club never happened, but Mike said he wanted to release our album instead! Worstward, Ho! came out on September 12, 2006, and now, almost a full 10 years later, I’m very excited to be releasing it on wax for the first time! The whole record has been remixed and remastered from the original recordings, and it still sounds very lo-fi, but in a way that you hopefully all enjoy better! Check out “Same Bastards” below and see for yourself! 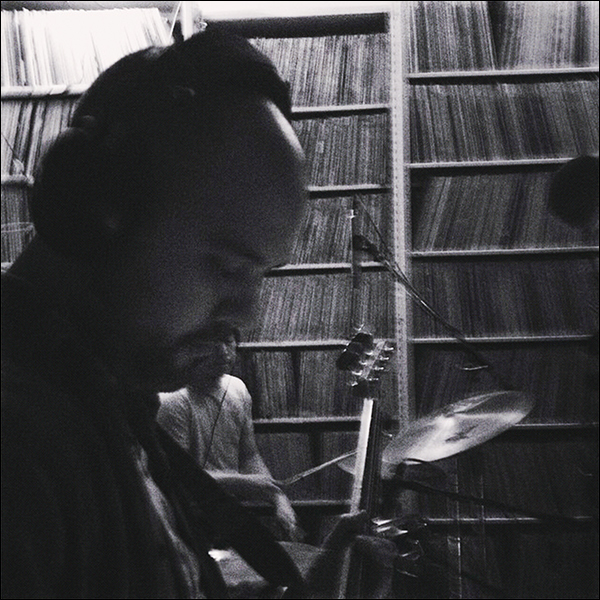 The LP is still getting pressed at the moment but should be all finished up by Fall 2016. You can PRE-ORDER a copy for yourself HERE!. Our good friend Dianna from Hi-Lo Press is making an exclusive art print to accompany the LP, and other good friend Jeff Rosenstock is helping to co-release the record on his label Really Records. Thanks, you two! Hi friends! I’ll be on the road for a little bit and mailorders will be delayed until late-April. Just a little heads up!